Etruria was a region of Central Italy, located in an area that covered part of what are now Tuscany, Lazio, and Umbria. It was the homeland of the Etruscans. 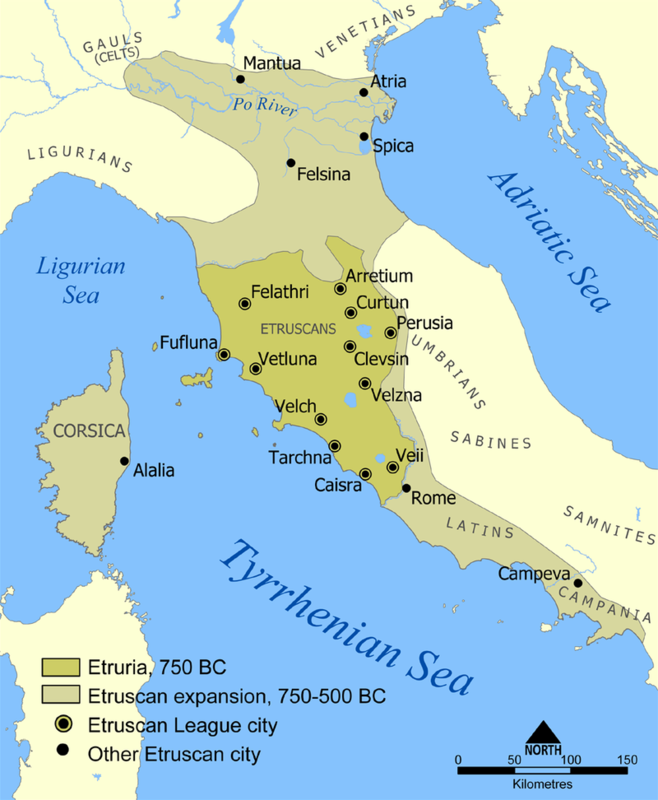 The Etruscans were a dominant culture in Italy by 650 BC, surpassing other ancient Italic peoples such as the Ligures, and their influence may be seen beyond Etruria, e.g in Latium as well as in Campania and through their contact with the Greek colonies in Southern Italy (including Sicily). Rome was influenced strongly by the Etruscans, with a series of Etruscan kings ruling at Rome until 509 BCE when the last Etruscan king Lucius Tarquinius Superbus was removed from power and the Roman Republic was established.